The government on Monday sacked Nepal Oil Corporation Executive Director Gopal Bahadur Khadka after he was found involved in irregularities while purchasing land in various parts of the country to build petroleum storage facilities. Minister for Supplies Shiva Kumar Mandal had tabled the proposal to remove Khadka at the Cabinet meeting held today. 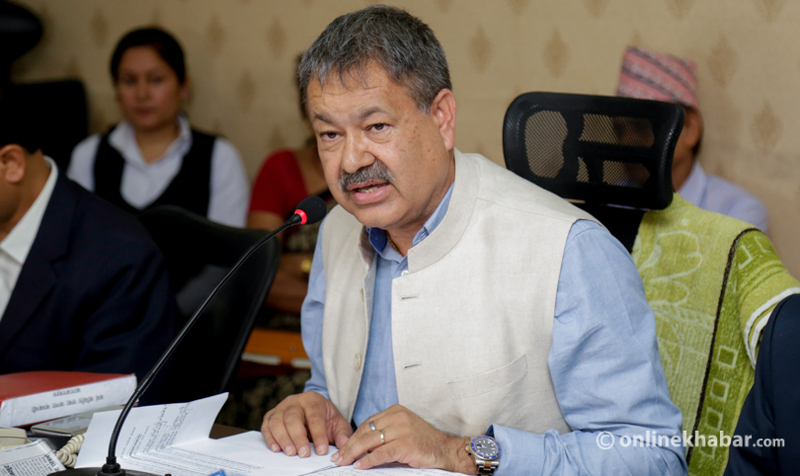 The Minister had also claimed that Khadka did not cooperate with the government and promoted factionalism in the organisation, informed government spokesperson and Minister for Information and Communications Mohan Bahadur Basnet after the meeting today. Various parliamentary committees and an investigation team formed by the Ministry of Supplies had concluded that Khadka embezzled millions of rupees from the state coffers to purchase land in various provinces. Before that, various media reports had claimed Khadka’s corruption and were pressurising the government for the sack.